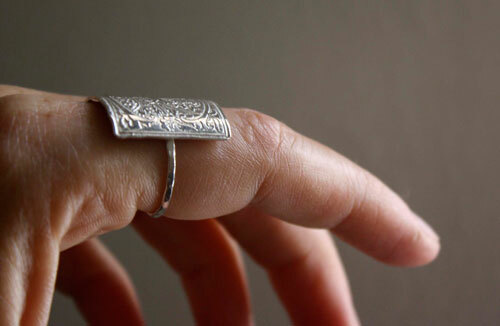 This sterling silver ring is hammered and an etched pattern which was then hand sawed is soldered on top of it. 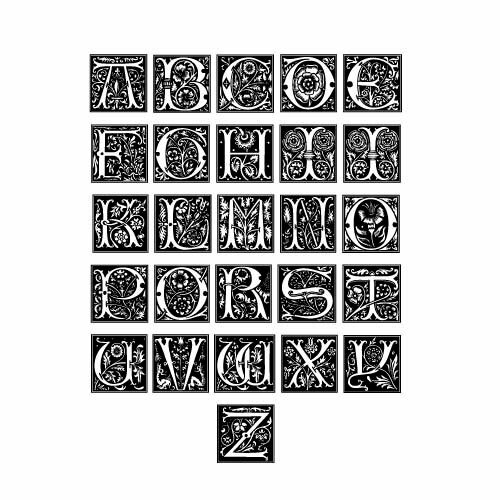 It is in the shape of a square and was decorated with an illuminated monogram in the middle-ages style. 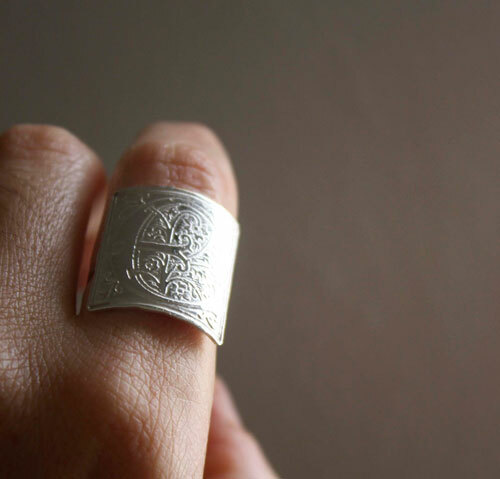 You will find on this ring the same kind of drop cap with vegetal decoration than the ones made by the monks of the Middle Ages on their manuscripts. 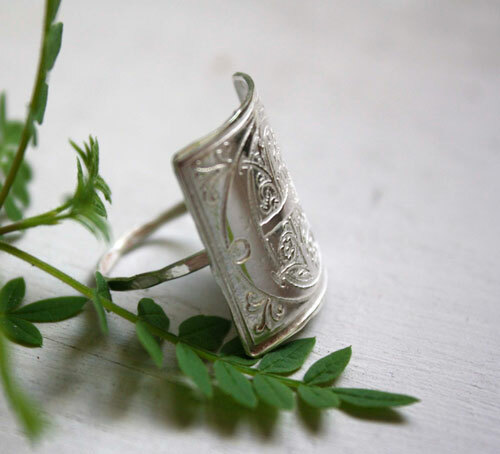 This ring will be perfect for calligraphy lovers, of the art of writing and of the medieval illumination. 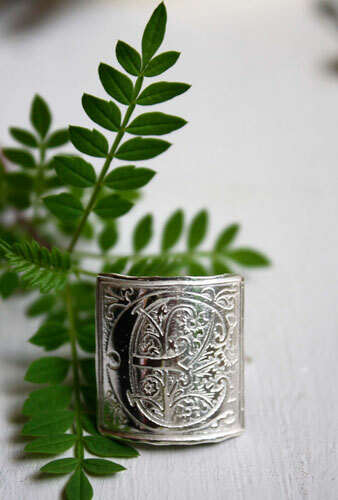 It will be a unique gift for Middle-Ages lovers and for the aesthetic of this period. 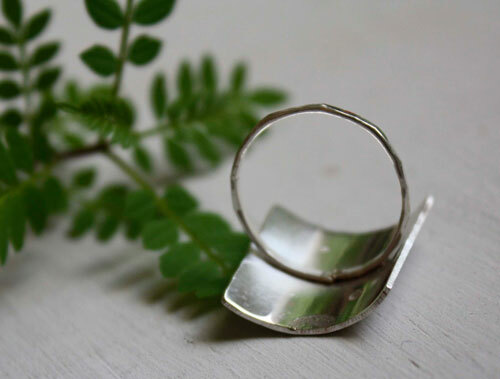 It is a rustic ring. Surface: 2.1 x 1.8 cm (0.826 x 0.708 inches). 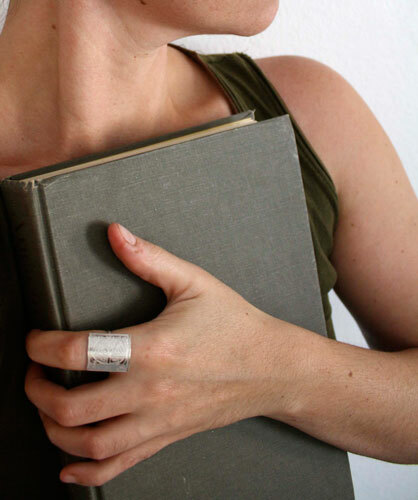 The hammered ring is 2 mm wide. Thanks for letting me know which letter you prefer when you buy this item, as well as your ring size. The illuminated pattern is a floral design. Thanks for checking the last black and white picture to see how your monogram will look like. Please allow 3 working days for this jewel. 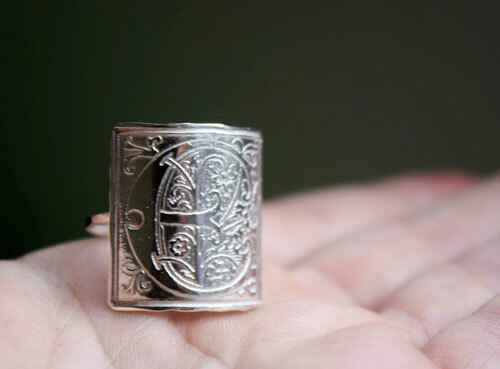 Tag: sterling silver, ring, sterling silver, square, monogram, medieval, initial, alphabet, illumination, flower, floral, Middle Ages, calligraphy, monk, artistic, etched, unique, mother’s day, gift, valentine’s day, monogram, manuscit, lettrine.